The Rev. Marvin Arno Schilling (STB 1937) died peacefully in the evening of Sept. 22, 2017, in his Capital Lakes residence in Madison, Wisconsin, just two weeks after a joyous celebration of his 106th birthday. This year he celebrated the 80th Anniversary of his graduation from NYTS in 1937. 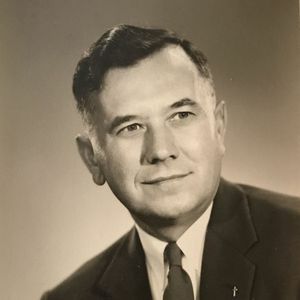 Born on Sept. 8, 1911, he was a devout Christian and committed servant of the United Methodist Church throughout his life. A Celebration of Life will be held at 2:30 p.m. at Trinity United Methodist Church, 308 Oneida St., Beaver Dam, on Friday, Nov. 24. There will be a visitation prior from 1 until 2 p.m. with a Masonic Service to begin 2 p.m., and then immediately followed by the Celebration of Life at 2:30 p.m. Burial of his ashes will be at the Bethel Methodist Cemetery, Kiel, on Saturday, Nov. 25, at 2:30 p.m.
His full obituary can be found online HERE. Video of his 106th Birthday Celebration can be found HERE. NYTS was grateful to have been a part of Rev. Schilling’s last birthday celebration.